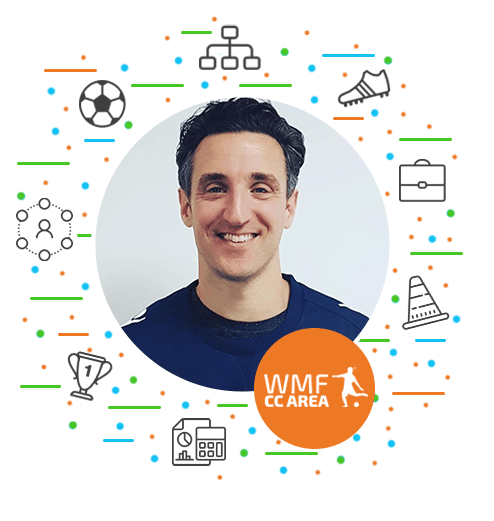 I started my coaching journey with WMF at my local centre working under a good Academy Manager, from there I went on to the business opportunity to run my own area. I started with the intention of launching a franchise and the best way to do that for me was to learn the model and progress from the ground upwards by understanding how WMF worked. I’ve been in the fire-service for 12 years, 48 hours of my week are spent at the fire brigade and my franchise runs around that. My ambition is to go full-time in football with short-term plans of opening new classes and long-term plans of expanding my franchise area. From starting to now running 8 classes a week, there are endless growth opportunities. WMF is definitely a transition towards going full-time in football. My work with We Make Footballers has opened up other opportunities and avenues in football for me with pro clubs such as my role with Crystal Palace. The system creates pathways for players, coaches and the franchise network.